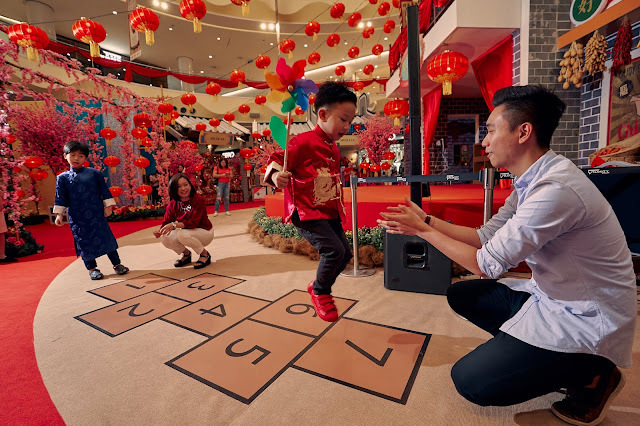 Celebrate the tradition of Lunar New Year with Sunway Velocity Mall Sunway Velocity Mall will hold one of their largest annual campaign for Lunar New Year. Channeling the hearts of many who are celebrating, Sunway Velocity Mall is painted with colors of wealth and prosperity and is grandly decorated with architectural structures from a mix of unique ancient Guangdong and Guangxi architecture. As the theme for this year is “A Cantonese Heritage Celebration”, the immensely detailed decorations at the mall not only resurface the essence of Lunar New Year but also embody many meaningful Cantonese cultural symbolizations. For instance, the roof tips of the architectural building inspired by Lingnan province, are shaped like ears which signifies great fortune and prosperity. Located at the heart of the mall, a flower market, flooding the mall with fresh scent of life and joy, is believed to symbolize rebirth. With the mall royally embellished with red lanterns, golden highlights and traditional Cantonese architectural buildings, it emphatically transforms the atmosphere of the mall and ignite the spirit of Lunar New Year. Aligning with “A Cantonese Heritage Celebration” theme, the mall has organized many Cantonese cultural workshops like opera mask making and Chinese calligraphy workshop as well as performances like Cantonese opera and Cantonese old folks’ songs to highlight the uniqueness of the culture and custom of the Cantonese heritage. As the essence of the New Year revolves around being with family and friends, Sunway Velocity Mall has also organized many events and performances like acrobatic lion dance, Wong Fei Hong Martial Arts, and many children activities to enlighten the young generation on the history and tradition of Lunar New Year. To celebrate wealth and prosperity, The God of Prosperity will visit the mall to distribute ang paus to shoppers. 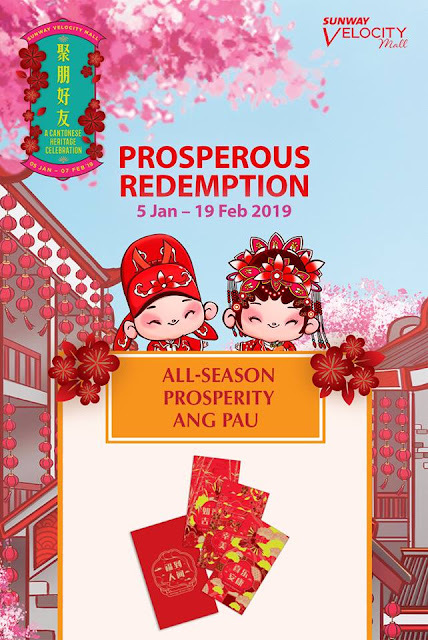 Six shoppers will receive a lucky ang pau that consists of the 999 Pure Gold Looney Tunes 3D Coin Ang Pau from SK Jewellery as a great kick start to an auspicious year. In addition to that, shoppers will have the opportunity to win cash vouchers when participating in many of the fun and exciting contests, like the Pao Eating Contest and Cantonese Tongue Twister. 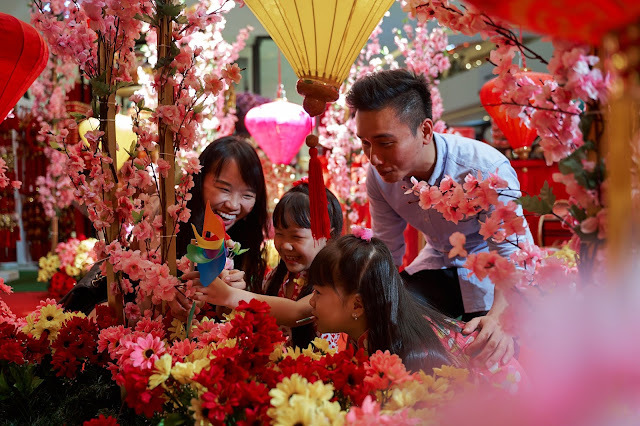 The celebration of the New Year at Sunway Velocity Mall not only aims to bring family and friends together but also to build new and profound memories to start a great Lunar New Year. allocated based on their costume, creativity and confidence on the catwalk. This will definitely be an event not to be missed as they add their flair into this traditional costume. 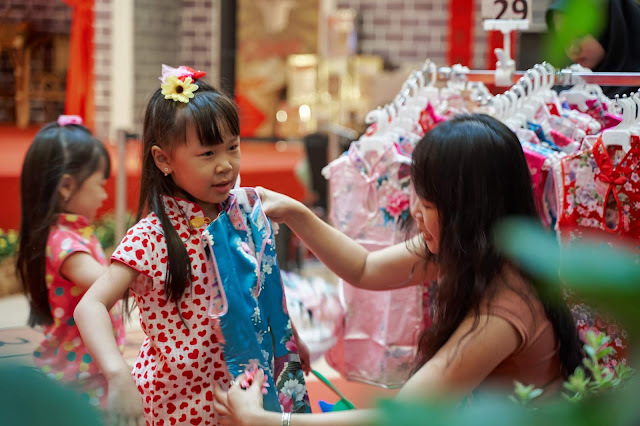 Where some of the excitement of the Lunar New Year comes from the preparation, shoppers will find a variety of booths available at the Main Atrium Ground Floor to shop for goods and gifts, like traditional Chinese clothing for kids, CNY cookies, hampers and Chinese teas. Shoppers can also find what they need at the many outlets in the mall, for example, Miss Selfridge, Calvin Klein Watches + Jewelry, Superdry, Hush Puppies, Lacoste, Burton Menswear London, Under Armour, ECCO, and many more. 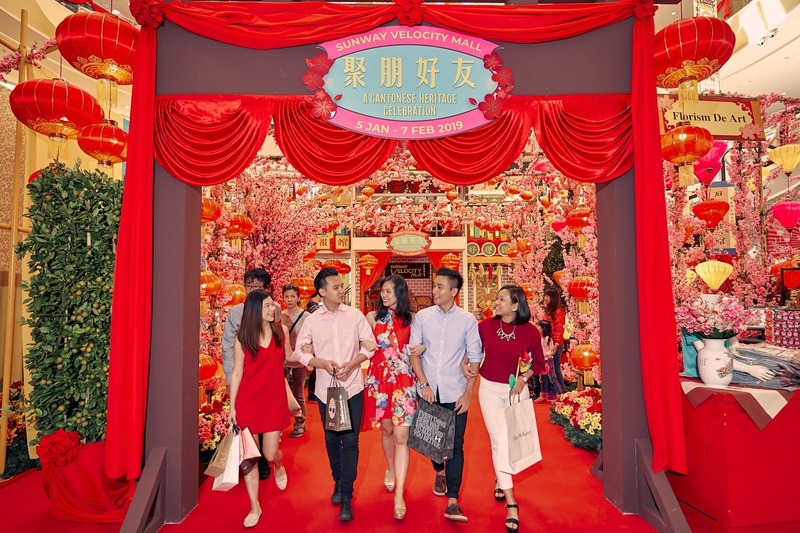 In extend to the celebration of wealth and prosperity during the Lunar New Year, shoppers are able to redeem prizes from four tiers when they shop at the mall from 5 th January until 7 th February 2019. Shoppers who spend a minimum of RM300 (RM200 for HSBC Credit Cardholders) in two receipts will be able to redeem the “All- Season Prosperity Ang Pau” packets. 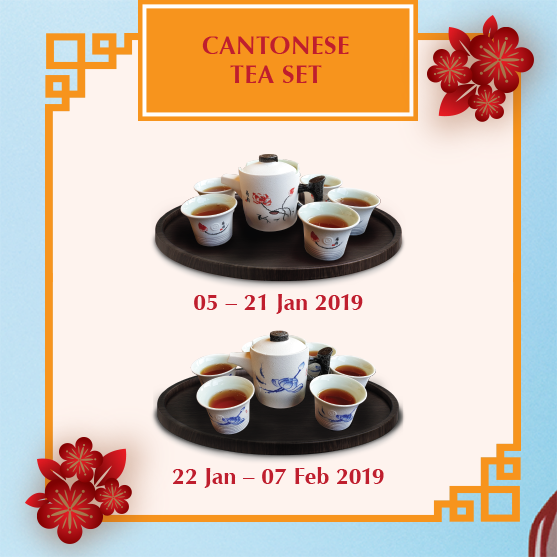 Shoppers who spend RM600 (RM500 for HSBC Credit Cardholders) over 3 receipts will be able to collect an exclusive set of Cantonese Teapot from two unique designs. 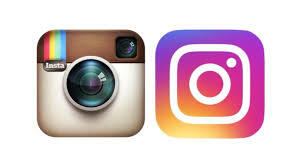 The first design will be available for redemption from 5 th January to 21 st January 2019, while the second design will be available for redemption from 22 nd January to 7 th February 2019. Furthermore, shoppers get the chance to spin “The Wheel of Fortune” when they spend a total of RM1,500 (RM1,400 for HSBC Credit Cardholders) over 5 receipts to win cash vouchers worth RM100. Finally, shoppers who spend RM3,000 (RM2,900 for HSBC Credit Cardholders) in 6 receipts are able to redeem a 20” Cosas United Luggage Bag. With the mall decorated with buildings and streets inspired by Lingnan province, shoppers get to savor the experience of a traditional Cantonese village seen in movies and talked about in Cantonese tales. Cantonese Heritage as the theme for this year’s Lunar New Year campaign, Sunway Velocity Mall aims to aspire many to rekindle with their roots and to cherish the Lunar New Year with friends and family. 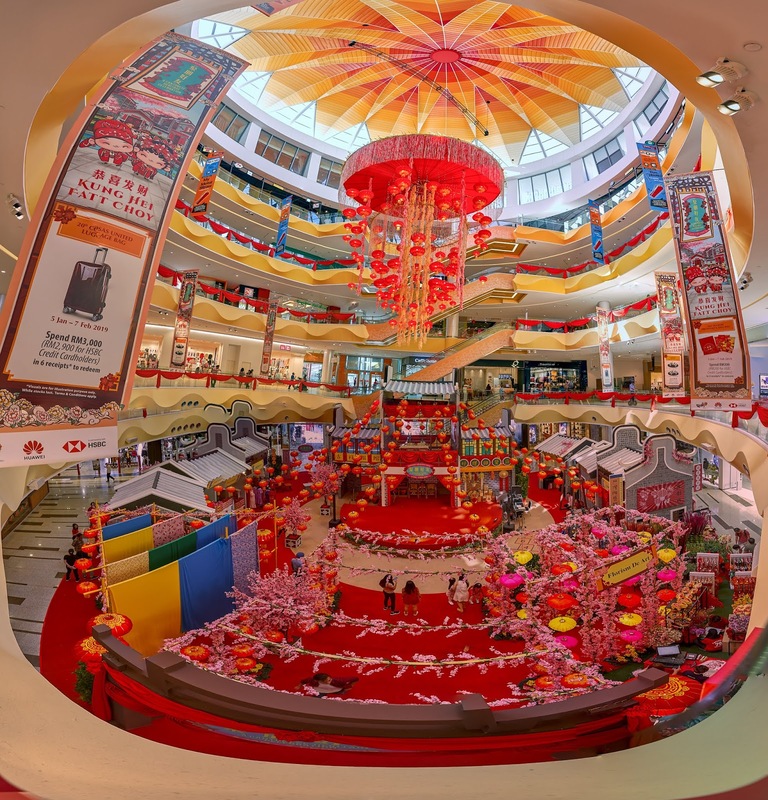 visit Sunway Velocity Mall this Lunar New Year.